You are on Hennepin Avenue just north of 10th Street. 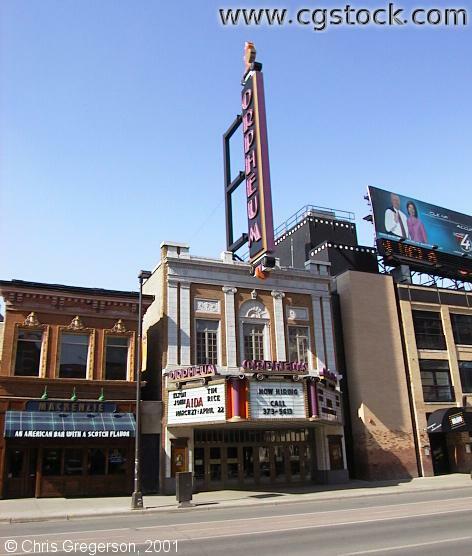 This is the Orpheum Theater, which has "Aidia" listed on the marquee. Mackenzies bar is on the left.